Roberts Gordon is the leader in Infrared Heating. They manufacture CoRayVac Infrared Heaters (condensing and non-condensing), Vantage and GordonRay Unitary Heaters and Caribe Infrared Heaters (certified for use in residential garages). Raypak manufactures gas fired water heaters and hydronic boilers from 42 – 4,000 MBH, copper fin tube water heaters, storage tanks, pool heaters and boiler control systems. Every Raypak boiler is made with corrosion resistant materials and protected with a salt-spray-proof, ultraviolet tough powder coat finish. Suburban's Packaged Terminal Air Conditioner (PTAC) combines economical gas heating and high efficiency electric cooling in one compact unit for zone temperature room-by-room control. Nederman manufactures Fume Exhaust Systems for factories, auto service areas and emergency vehicle stations providing a healthier environment for the occupants. Bell & Gossett – Bell & Gossett/ITT Industries offer a complete line of pumps, heat transfer, values and packaged systems for all of your HVAC product needs. The Thaw-Pak Snow and Ice Melting System includes a design customized to your specifications and all of the parts and accessories necessary for a successful installation. HeatFab manufactures single and double wall AL29-4C stainless steel, type BH venting systems suitable for commercial and industrial venting options for natural gas and propane appliances. Uponor Radiant Heat Floors circulate warm water through PEX tubing embedded in the floor of your home. The heat radiates up through the floor, warming the people, furnishings and air in the room. Wessels is a manufacturer of ASME certified and non-ASME certified pressure vessels for commercial and industrial fluid control applications. In 1998, MacroAir engineers revolutionized the fan industry by inventing a fan that would move air in a whole new way. The HVLS (High Volume Low Speed) fan was born. Variable speed ZOO Fans™ gently mix the air, eliminating hot and cold spots. The temperature at floor level is much more comfortable and the HVAC systems run less. Low cost power and simple, inexpensive installation make Thermazone® Infrared Heaters by BBC Industries, Inc. the easy and economical solution to heating. The name BANANZA® is associated with excellent support and the company is known for make up air units for the vehicle finishing industry. Direct fired air handlers are also used for make-up air heating in commercial applications. Robur is a full line of gas fired, single phase absorption heating and cooling solutions. Robur has solutions for residential, commercial, and industrial applications from cooling, heating, heating & cooling, process cooling No mechanical compressors or engines, means no mechanical wear and tear and low maintenance requirements. 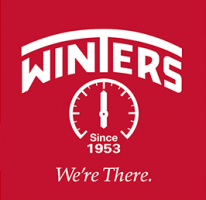 Winters Instruments is a comprehensive product lines of pressure gauges, thermometers, diaphragm seals, transmitters,switches and accessories. Winters Instruments are available for numerous industries including: HVAC, plumbing, oil & gas, process, waste water, agriculture, power generation. They are manufactured, tested and certified in accordance to third party agency requirements (3A, CSA. CRN, CE, UL, NACE, and more). Tekmar products are designed for a wide range of temperature control applications including complete heating and cooling system control, zoning, domestic hot water generation, solar thermal and snow melting. First Co. is a manufacturer of unique fan coils. First Co. produces a broad range of high quality HVAC products for the multi-family industry. A full line of polypropylene flue gas venting systems. Residential and Commercial applications for Category II & IV special gas vent and gas vent BH, Class IIC. © 2018 Herrmann Associates. All Rights Reserved.